You are currently browsing the tag archive for the ‘dancing about architecture’ tag. I never knew the Beastie Boys did straight-up punk. “(You Gotta) Fight For Your Right (To Party)” was impossible to avoid. The video was on heavy MTV rotation, and I disliked the Beastie Boys for many reasons: shouty lyrics, frat-boy antics, low-level homophobia. Of all the things to fight for, I thought, why is partying first? But the biggest reason was that hip-hop wasn’t on my radar; I was twelve, and only making the transition from Top 40 to Euro synth-pop. At Barnes & Noble, I spread all the alternative music magazines I could find in front of me on the table so that everyone could see how alternative I was. Even though Paul’s Boutique got plenty of positive press, my antipathy towards the Beastie Boys had evolved into indifference. They were mainstream, I thought, and to hell with the mainstream! I was too busy with the review of the latest Peter Murphy album and the up-and-coming Nine Inch Nails, who I suspected might get big. R___ had a poetry class with me. He wore baseball caps backwards and was in a fraternity: in other word, the type I associated with the Beastie Boys. And, sure enough, when I delivered a copy of my workshop poem to his dorm, there, on the floor, was Check Your Head. Mark Strand took a liking to R___’s work, much to my dismay. Strand held up phrases of his for us to examine: a crumb of soap. Grandmother slurping soup. I wondered, How was this possible? Strand gave me a C, and I retreated to the Baltimore raves, where frat boys hadn’t yet infiltrated. In X-Force #43, Rictor (a mutant with the ability to create seismic waves) takes his teammate Shatterstar (a warrior from another dimension) to the Limelight to teach him about human feelings. When Shatterstar hears “Sabotage,” he notes the atavism of the song, how the bass rattles his bones. When a young girl tries to dance with him, he runs away, wondering what it would take to make him feel human. Years later, he and Rictor become lovers. Ad-Rock apologized for his past homophobia in a letter to Time Out New York. “There are no excuses, but time has healed our stupidity,” he wrote. “We have learned and sincerely changed since the 80s.” He takes it a step further in “Alive” when he raps “Homophobics ain’t OK,” while wearing a fuzzy powder-blue jumpsuit. Adam Yauch passed away from cancer about a month ago. A friend in Brooklyn told me about passing a beauty salon that had a hand-written sign reading ‘R.I.P. MCA.’ I didn’t know what it meant, my friend said. Neither did I. Adam Yauch, to me, was not MCA but the founder of Oscilloscope Laboratories and vegan Buddhist. 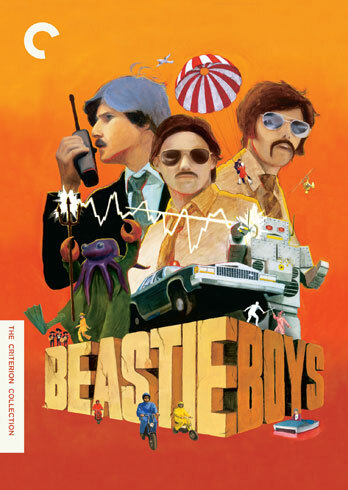 But, rewatching the videos, I realized how Adam Yauch is inseparable from MCA, the way I’m inseparable from my 80s self for which I have yet to apologize. There he is dressed like a scruffy 80s motorcycle rocker; then again with short-cropped gray hair. There he is his delivering a gruff rap about beer; then again criticizing disrespect towards women. There he is, still fighting. 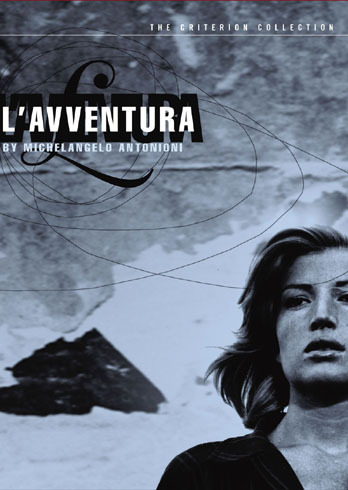 In 1960, L’Avventura was awarded the Jury Prize at the Cannes Film Festival for its “remarkable contribution to the search for a new cinematic language.” That language, according to Seymour Chatman, is a metonymic cinema, in which the landscapes are physical externalizations of a character’s inner emotions. Objects in the landscape, Chatman states, “serve as metonymic signs of [the character’s] inner life.” Thus, the barren, volcanic island which serves as the stage for the first part of the film represents the characters’ own inner barrenness. Antonioni frames his characters such that they’re not looking at each other, or even in the same direction. They are, in the words of numerous critics, alienated. Even when they speak, they turn away from each other, or one character has her back to the other. They speak to empty space, to jagged, black rock formations, to sea sprays. When Matthew and I are angry with each other, I direct my words towards the spot just to his left or to the thinning spot on the carpet where the cats have ripped out the piling. We look past each other, as if the weight of actually looking—seeing—each other would drag us both down to the floor. We avoid touching, and turn our bodies going up and the down the stairs, lest our contact set off a spark the burns the whole house down. The air, it seems, is colder. But is the landscape a metonymic extension of myself or is it simply February, and we’ve set the thermostat to 64° because our last heating bill was nearly three hundred dollars? He stands off to the side while I’m typing and looks at me, as if daring me to look back. I don’t. In the final scene, Claudia approaches her lover Sandro, sitting on a bench, from behind. Sandro has just betrayed her, and he weeps into his hands. Her hand hesitates before she places it, tremulously, on his head. Antonioni himself offers conflicting interpretations of her gesture: “She will stay with him and forgive him,” and “What they finally arrive at is a mutual sense of pity.” To Sandro’s right, a solid brick wall, grey and stubborn, featureless, crumbling. To Claudia’s left, Mount Etna in deep focus, streaked with what looks like snow. But they don’t look at each other. Matthew and I will reconcile. Our lives will resume their normal course. But before that, we have to look: Look at my face. Look at this piece of me that represents the whole. 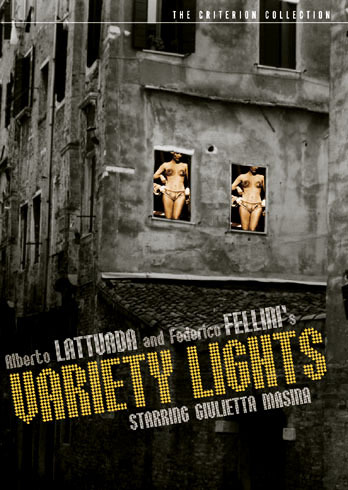 Carla del Poggio’s eyes widen when the curtains open in Variety Lights. It’s one of the oldest stories in showbiz, yes? The dewy ingénue clawing her way to the top. But who hasn’t harbored the dream of being a star, of making it big, even if it’s that brief moment while watching You Can’t Do That on Television: I can do that. I can say ‘I don’t know’ and get a bucket of slime poured onto my head. Every year, for their final project, the high school seniors in the theater mounted a one-act play. My final year, I was invited to play the Valet in No Exit. I was never a full-on thespian — rather, I was someone who ate lunch in the theater room because my friends were in theater. Still, I thought, Why not? I put on a dark suit, white-powdered my face and drew black tarry streaks under my eyes, and memorized my lines. There are two theories of acting: that one can find one’s self in every character, or that one can find every character within one’s self. For me, it was neither; the character I played was simply myself, speaking the lines the way I would have said them normally: Silly questions, if you’ll pardon my saying so. Where’s the torture-chamber? That’s the first thing they ask, all of them. A student told me that, for a summer job, he was auditioning for Sea World. I didn’t know one had to audition for Sea World. Yes, he said. Since I don’t have any animal training, I can’t work with the animals. But they have other shows and performances. Does one even notice other humans at Sea World? Who can compete with a school of dolphins, a killer whale? I wish I’d known what I wanted to do with my life earlier, he told me. He was a biochemical engineering major. I didn’t discover acting until high school. I wanted to tell him that I had had the exact opposite experience. If I had asked, ‘What do you want to do?’ and he answered, ‘I don’t know,’ no slime would have fallen from the sky. Acting is a calling as much as anything else, but know this, my young friend: there will always be starry-eyed dreamers, and there will always be broken bulbs on Broadway. Right around the turn of the millennium, you couldn’t walk into a mid-to-high end home goods store — Anthropologie, for instance, or Pottery Barn — without being pummeled by Bebel Gilberto. Her light, summery voice became simpatico with overpriced textiles and gewgaws, and store managers piped her into the atmosphere the way some automatic bathroom air fresheners pump out blasts of lilac and freesia. Oh, Brazil, you’ve given us so much in terms of rhythm and fruit: batucada, guarana, funk carioca, caipirinha, capoeira, açaí, — not to mention naked soccer players. But I wonder if it galls to have a large part of your culture presented mostly through intermediaries. For instance, long before Bebel Gilberto exploded on the scene, I had been listening to bossa nova as filtered through Europe. It was Brazil processed by trip-hop beats — the more accessible version. Maybe this is what’s happening in Black Orpheus: a French director’s film about Brazil, as channeled through a Greek myth. This is the exotic made palatable — everyday is Carnaval! No one misses an opportunity to beat out a rhythm on an overturned plastic pail, people move through the streets in conga lines, and even children can play the guitar well enough to raise the sun. I can’t say that I disagree. As a good post-colonialist and strategic essentialist, I struggle with how Asian (particularly Vietnamese) cultures are represented in film and in literature. It gets tiring trying to assert individuality in the face of archetype and expectation. Marcel Camus has all the best intentions: vibrant colors, expressionistic lighting, enough gold lame to catch a whale, Breno Mello shirtless at every turn. 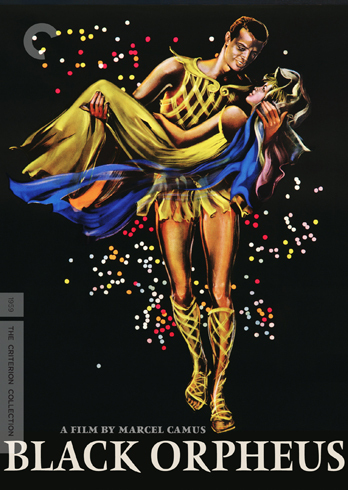 But for all its beauty, Black Orpheus still seems reductionist. The favelas: they’re not so bad, if you ignore the occasional firebombings from jealous girlfriends. So I leave it to film critic Peter Bradshaw to explain how it’s important to remember one’s own context in relation to the film. It’s a matter too, perhaps, of refusing to be satisfied with the Muzak in the atmosphere exhorting you to consume and discovering, instead, with where a more authentic beauty may reside. Consider: receiving something in a processed form may spur a person to discover its more ‘unadulterated’ forms. I graduated from the pleasant-enough Germans Mo’ Horizons to Otto, Joycé, and Celso Fonseca. Who’s to say that being exposed to Antonio Carlos Jobim and Luis Bonfá via Marcel Camus won’t lead to a full immersion in João Gilberto and Caetano Veloso via Walter Salles and Hector Babenco? Heck, all the Portuguese I’ve learned has been from bossa nova songs. Felicidade! Well, not quite: in the version I remember, the cursed dancer begs a woodcutter to chop off her feet, and after he does, the shoes dance away with her severed feet still in them. And then she lives happily ever after. As a nun. Repenting. 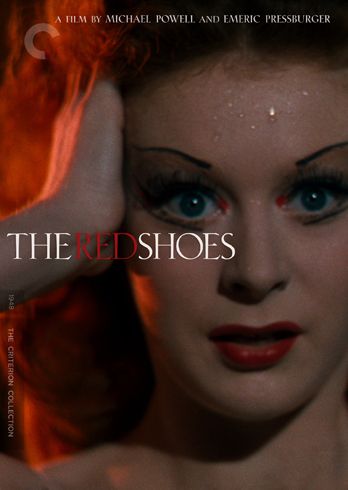 Powell and Pressburger transform a cautionary tale about vanity (the girl insists on wearing her red shoes to church) into one about artistic imperatives, but, to me, “The Red Shoes” will always be about vanity. To wit: my own pair of red shoes. They weren’t ballet shoes — my ankles would crack long before first position — but a pair of Airwalks. (Nowadays, everyone wears has a pair of Day-Glo Pumas, but I bought mine over 10 years ago, when I lived in Washington, D.C.) The red had a metallic sheen, the type of color you see on a Ford Taurus to make it ‘jazzy.’ On the soles of the shoes was a design of interlocking arrows, like a dance pattern. Those shoes were my first statement of sartorial personality. Before that, shoes were simply a vehicle to protect your feet. It was OK if they were from Payless Shoe Source made your feet stink. It was OK if they stained your socks when they got wet, because they didn’t signify anything. All this changed, of course, when I found that first pair that I loved. How I held myself changed; how I moved changed. The shoes were the first things my former beau, R____, noticed about me. You walked in wearing your ruby red slippers, he’d say, recounting our meeting. I wore those shoes while I DJed: I had to be on my feet all night and sometimes danced in the booth. After my shift had ended, I moved over to Badlands, where the dancing continued. My shoes didn’t glow when the lights hit them (and they certainly didn’t have the luminous quality of three-strip Technicolor), but when the music was right, they could have been dancing me, for all I knew. One night, the DJ at Badlands grew annoyed at the requests for Madonna’s “Don’t Cry For Me, Argentina” and proceeded to play the Pablo Flores mix of the song continually for 45 minutes straight. Good times. But the more you love something, the more it falls apart. The sheen on my shoes cracked and flaked off from overuse. I staunched the damage by painting the cracks with nail polish, but it didn’t look quite right. The shoelaces, after years of mangling by DC Metro escalators, frayed. The arrows on the soles melded into one another. No need to cut off my feet or to leap in front of a train — I knew it was time to retire the shoes. But my feet kept dancing nonetheless.